I'm always obsessed with things that you can wear more than one way. And being that I am obsessed with both capes and oversized scarves this season, I'm doubly in love with this piece. The color is so refreshing too. I'm so used to dark and neutral clothing, this is a nice change of pace. But am I keeping it? Of course not. This entry was posted on Tuesday, January 13, 2015 and is filed under blue,orange. You can follow any responses to this entry through the RSS 2.0. You can leave a response. 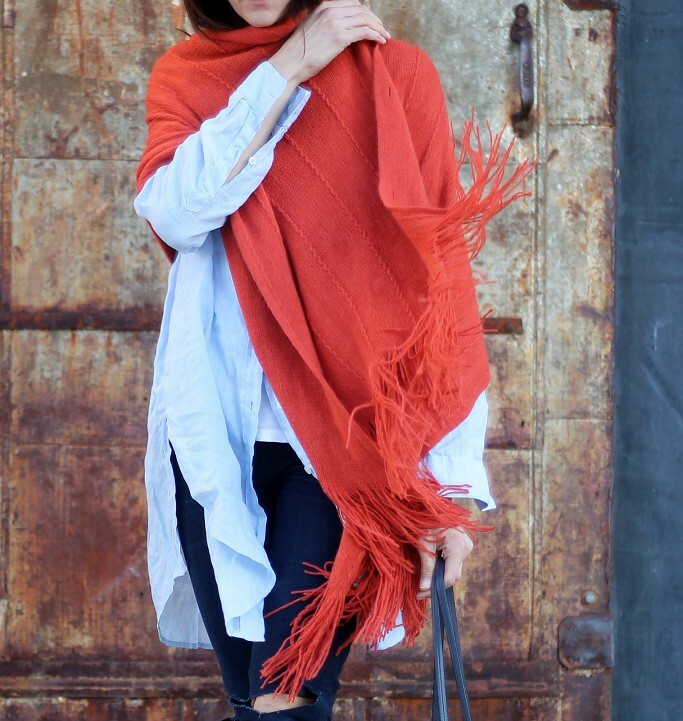 This scarf is absolutely gorgeous! I love how you're wearing it. 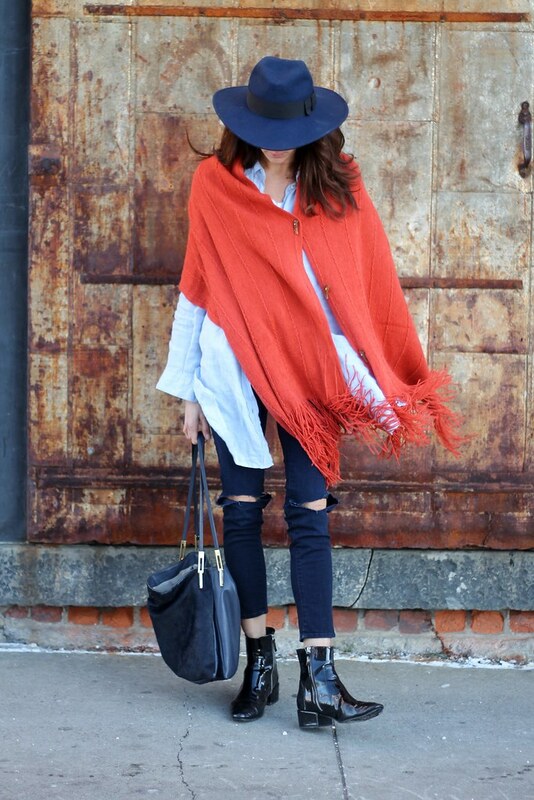 I love the color of this cape/scarf. Even better that it multitask! I love you in color as well as darker shades! You look stunning no matter what you wear! You girl looks beautiful and confident. The outfit looks amazing and i love it, especially the red scraft and boots :) They're stylish when you combined them together. I love the way you use the scraft. I can't take my eyes off you in this style. 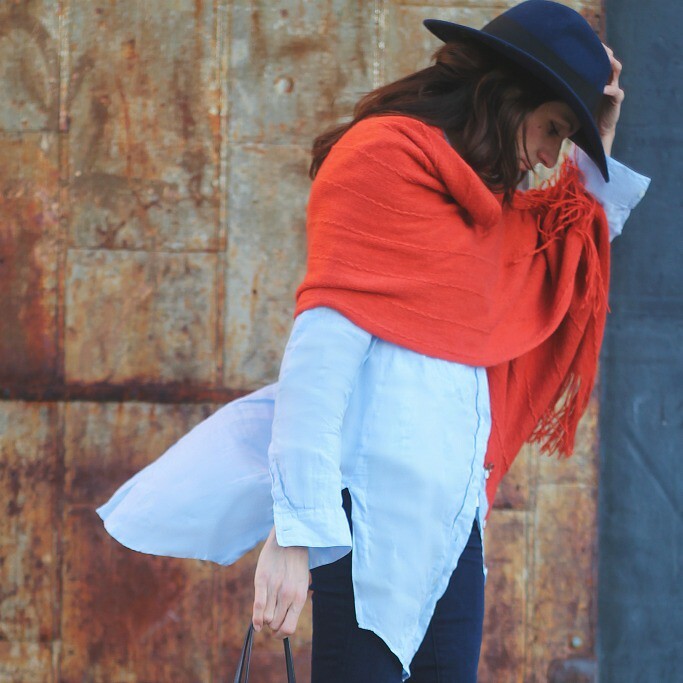 Mmm, capes and scarves and boots and hats - love it all. Thanks for sharing with Visible Monday, xo. Fabulous color. Terrific with the long shirt. So happy I found you at Patti's Visible Monday! Urban chic, love your look! 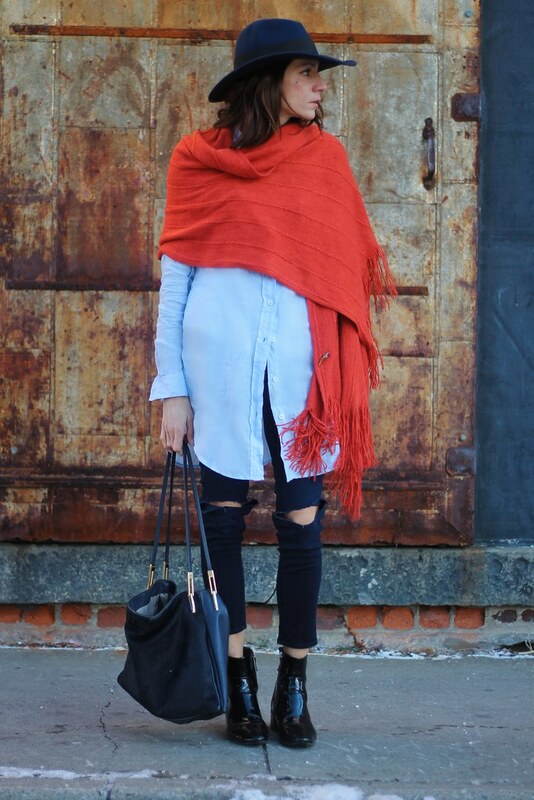 The red scarf matches perfectly with the shirt and the jeans.